In this episode, you will learn about why you will be able to better promote your destination when you join organizations that can help you out from Becky Wehle & Sara Piccini. Becky Wehle is President & CEO of Genesee Country Village & Museum, the largest living history museum in New York State, located 25 miles southwest of Rochester. The Museum features 68 historic structures from the 19th century, moved from locations throughout Western New York, a gallery of sporting art, and a nature center and attracts more than 90,000 visitors each year. She manages 45 year-round staff and over 150 seasonal staff and a budget of over $3.5 million. Prior to joining GCV&M in July 2016, Becky worked in the University of Rochester’s advancement office for over 15 years, most recently as the Executive Director of Donor Relations and Stewardship. She also serves on the Board of Trustees of Allendale Columbia School and the Museum Association of New York and was a Board member at GCV&M for 18 years before joining the staff. 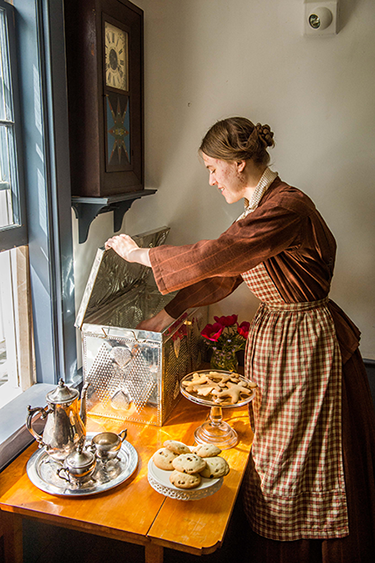 Sara Piccini spent about 4 years working with Genesee Country Village & Museum prior to her current role, recently returning this past January as Tourism Sales Manager and Volunteer Coordinator. Since coming back onboard, Sara has driven numerous tourism initiatives for the museum. She has helped lead tourism and marketing efforts, attends Sales Missions regularly throughout the year, and is continuously working through a number of partnerships to create more awareness of our region, both domestically and internationally. Through these efforts, the museum has already seen significant growth in Motorcoach Group business. In addition, Sara serves on several different committees including I Love New York’s China Marketing Committee, Livingston County Chamber of Commerce’s Tourism Workgroup as well as both Visit Rochester’s Travel Trade and Meeting Committees. She believes that GCV&M plays a unique and vital role in the industry, and is thrilled to be a part of the momentum. Becky: Thanks for having us. Sara: We’re all happy to be here. I’m really looking forward to this conversation and this is a first, as you and I were discussing in our pre-interview chat, where we’re actually interviewing two folks at the same time. I understand both of you bring very different perspectives to the conversation, especially as it relates to the Genesee Country Village and Museum and to tourism, creativity, and collaboration, which is what we like to focus on in this podcast. Before we get started with our conversation, I’d really like each of you to share a little bit more about your stories. If we can start with you, Becky, if you could just share just a small glimpse of who you are and a little bit more about your story. Becky: Well, I am actually the granddaughter of the founder of the museum, Jack Wehle. Back in 1966, he had the museum charted by the New York Board of Regents and started moving buildings here to Mumford. That was about six years before I was born, but basically, my whole entire life, Genesee Country Village and Museum has been part of it, and so I grew up coming here to special events on a very regular basis and just having our family be very strongly involved in everything that went on here. As you mentioned, I have been on the board for about 18 years now, but took over as, first, the interim President CEO and then took that position over permanently about 14 months ago in July of 2016. I come to this position with, obviously, an enormous amount love for the museum, but a very fierce determination to help it be successful and continue to grow and thrive because I know what a wonderful place it is, so that’s where I come at marketing and tourism. That’s really awesome. I love that you said, “A fierce determination,” and I can hear it already in your voice, and to think that this museum was started before you were born even, so yeah, it really is in your DNA, right? Becky: Yes, it is. Yeah, I was four when it opened and have some pictures of me here probably before it opened or the summer it opened. Yes, now 41 years later I am sitting here, the person who is responsible for it all. That’s really cool. I can’t wait to learn more. Before we get started, though, with our questions, Sara, I would like to hear a little bit more, for our listeners, about your journey and how you’ve gotten to where you are today. Sara: Yeah, so right out of college, I graduated from City Brockport, and my last semester there I was an intern here at the museum in the special events department, and that internship grew into a full-time position where I had the opportunity to work with many different departments and really got my feet wet and became familiar with the museum on a much broader picture. I really fell in love with what we were doing here, the people here and the idea of sharing this with other people. After spending about three and a half years in that position, I went on to a different opportunity and just found that my love for the museum wasn’t going to go away anytime soon. This new position became available and, again, having spent years here and seeing the opportunity and different ways that we could share it, I was excited to come back on board, so I came back on in January. I actually wear two hats, I’m the tourism sales manager but I’m also the volunteer coordinator here, so I’m sure that other not-for-profits can relate that. We wear many hats and so that’s definitely a challenge, but it’s exciting because there’s so much opportunity here and so much room for growth and it’s been exciting to be in a new position. Again, as I mentioned in the bio, just jumping on board with the momentum of the area and sharing and educating everyone on the museum. That’s really great. Well, first of all, I have to tell you that I’m also a City Brockport graduate, so we’re alumni together. That is great to know. Also, I always find it so fascinating how internships really do set the trajectory of what you might do in your career. Listeners have heard me talk about my children in the past, but I have a daughter who’s now in college and I just know how important those internships are to your career path and your life journey, so I think that’s really awesome that you found your calling here at the museum. As I mentioned, on this podcast, we do like to talk about creativity and collaboration in tourism. Generally, I find when we start talking about creativity it’s hard not to talk about collaboration because the two seem to go hand-in-hand, but we’ll start with the question in regards to creativity and I’ll start with Becky for this one. In the tourism and hospitality industry, it’s a very competitive industry, and I’m wondering, Becky, what you have done to help Genesee Country Village and Museum stand out from the crowd. Then, the other part of it is that once we were part of those conversations we could say, “Here’s our unique proposition,” which is that we’re the largest living history museum in New York State. We have 68 historic structures. We’re bigger than Sturbridge Village, so that’s a pretty special place to be in a special way that we can stand out. Plus, we also have an art gallery, a nature center, and a baseball program, and so there really are all kinds of things here no matter what your age or what you’re interested in that you can find if you come to visit us. That’s what we’ve tried to differentiate ourselves by saying, “We are the largest, we have a lot of interesting things that you can do,” and just makes sure that people understand who we are because they didn’t necessarily before the last year or so. I love that perspective because you’re not just talking about sharing your unique proposition and what makes you unique, you started with first we had to join the crowd so to speak or join the conversation, so you got yourself to the table to learn about what is going on and then you were able to talk about how you could fit in to that bigger picture. I think that’s just a really great way to think about that and to look at that. It’s not always just about “Me, me, me” and what I think is unique, but about how you actually become part of that larger tourism world, if you will. Becky: Right, because it doesn’t matter what you think is unique if you’re not reaching the people who can help you share that information and then ultimately the people who will come visit you. Yeah, I think that’s really great. Sara, do you have perspective on this, how you stand out in the crowd. I understand from your role, you’re more in the trenches than in the tourism marketing area. What kind of insight do you have? Sara: To echo Becky’s point that really honing in on being the largest living history museum in New York State, of course, is extremely important to drive home to tour operators, different receptives, and companies working in that part of the industry, but also on a lower level really digging into the different engaging experiences that sets us apart from Sturbridge, from Colonial Williamsburg and those different museums that maybe they are familiar with. Really, what I try and do is drive home how we fit into their markets demographically but also geographically and really showing them and giving them a perspective on where we are on the map, and that we’re also 25, 30 minutes from downtown Rochester and really educating them on that and how we would work immediately for them when building itineraries and so forth. Then, on the other side, demographically talking about how we have these different engaging experiences such tournaments for children when going after student travel or the brewery when looking millennials and then, of course, for all our visitors, especially for senior citizens. It depends on which company and, which tour operators and what their business looks like and what their demographic looks like, but just really trying to educate them on what sets us apart, what’s special about us and reasons why they should send their visitors to us. I’m hearing a theme in what you said that really echoes what Becky said and that is you’re finding out what the customer is looking for and figuring out how you fit into that, so I really love how you’re talking about how do we fit into, in this case, an itinerary, let’s say, that might be for student travel. What do we have that’s specific to students or what do we have that’s most interesting to millennials and tailoring your message towards those demographics instead of trying to be one-size-fits-all and really understanding those audiences and what they’re looking for. I think that’s very intuitive and really cool that you’re able to do that. Sara: Yeah, and I think that in conversation with different tour operators and meeting different people, listening to the challenges that they’ve had has also been educational for us because I may hear, especially again with the mobility that it’s an issue and, well, we have an answer for that, so it’s been educational, I think, on both sides, for sure. Then, also for you to talk about places like Colonial Williamsburg and others that might be alternatives to you, right? Understanding where people might be already going and figuring out how you can offer something different or be an alternative to that particular destination. I think that’s a creative way of curving out that unique positioning for yourself. Sara: Absolutely. I think I’ll speak of perspective not just on the side of the museum but the different experiences that we have and it seems to help in relaying the message to folks, especially the ones you haven’t to the area and especially not to the museum, so yeah, it’s very helpful. I’m going to turn the conversation just slightly because one of the things that I like to do is to learn from challenges that maybe you have faced or adversity that you might have faced because I find that we learn a lot when we have to problem solve or when we’re put into a position where we’ve got to come up with a creative solution to something. I’m wondering, Becky, can you share with us a challenge that your organization has faced and maybe the impact that you experienced as a result of that? Becky: I don’t like to think of this as a challenge because I don’t want it to be something that people think of when they think about us but our geographic location can be a challenge in the sense that we are definitely off the beacon path. There are not a lot of people who are driving by us on a regular basis. We are about 25 minutes from Rochester and about 50 minutes to over an hour, depending on where you’re coming from, in Buffalo. But that is part of what makes us great, too, is that it’s a very peaceful drive out here no matter where you’re coming from, and once you get out here it’s also very peaceful and quiet. What makes it a special experience is that you’re out in the country, but it can be a little daunting for people who don’t necessarily know where Mumford is or are not entirely clear on how to get here. I think geography, especially for a lot of New York State destinations that we’ve featured on this podcast that can be a reoccurring theme, right? Because they might not be the Niagara Falls of the New York City of the state but might be a little bit further to get there, but then the experience is so different and so worthwhile and trying to position yourself so that people will take a chance, get off the main road and check it out. I can definitely see that as being a challenge, but then also it’s your best asset. What about you Sara, do you have insight into this question as well? Sara: Yeah. Again, more on a lower level relevant to my role, we have so much opportunity and room for growth. There’s so much that we can do. There are so many committees and different organizations that we can be involved with and things that we could tackle. It’s been educational but it can be a challenge prioritizing that. Of course, in the same boat with many different organizations, we only have so much time, so much budget, and so many resources and we just want to take on everything, and we see all these different opportunities. For me personally, the big challenge has just been, again, prioritizing that and finding out where to start and to be okay with the slow growth and taking on as much as we can chew, little-by-little at a time and know there’s a ton of room to continue to do that, but just to stay focused on the low-hanging fruit, if you will. That’s really great advice because there is a lot out there and there are a lot of different markets that you could go after, a lot of different audiences that would be interested in what you have to offer. We are limited not just financially but also just time, right? I mean, human resources can only go so far as well. And prioritizing and your perspective on looking at maybe some of that low-hanging fruit first, getting your feet wet there and seeing some results, and then moving on is a really great way to look at it. Sara: Yeah, absolutely. I think defining short-term initiatives and long-term initiatives is then the biggest piece, but I feel like we’re on good grounds with that now. Sara, you just shared a solution to a challenge; this whole idea of resources and prioritization. Becky, do you have a creative solution or anything that you can share with our listeners on how you might be positioning yourself and working on that geographic challenge/asset that we talked about? Then, we also are in a fairly rich area for collaborating with other counties, so technically we’re in Monroe County but we’re less than a mile from Livingstone County and a little more than a mile from Genesee County, so I’m happy to pretend like we are part of Livingstone County and Sara is part of their tourism initiatives and she also is part of Genesee County, so we are in a unique position in that sense of we can work with other counties maybe much more easily than an organization that’s in downtown Rochester. We can also appeal to people we’re about 10 minutes off the throughway and about 15 minutes off 390, so if you’re traveling from Niagara Falls east it’s easy to stop and see us and if you’re traveling, say, up from Corning we’re also very close, so just making people aware of where we are and that we’re not that hard to get to. Yeah. I think that’s really great, too, because two things: first of all that you’re able to tap into resources in that triangle area where you are between three county tourism offices and being able to leverage that, and then also that your proximity off of roadways in between some pretty large attractions, say Corning Museum of Glass and Niagara Falls is actually a really good one for a stop-off on their way from one or the other, so I think those are two really great examples. Now, Sara, looking into the future, is there a project that you’re really excited about that’s coming up? Sara: Yeah. We have a couple of different programs for groups. What we’re really trying to dip into is different experiences here, especially when we’re technically not fully open. We’re never really closed for the year — we have so many special events going on almost every single month of the year, but there is a time in the fall and winter where not all the buildings are interpreted and just finding different ways and programs that we can put together maybe built around the launch to share with different groups — even local groups. The next one coming up there, I’m putting together is a holiday program that’s just a couple of hours long. It’s Thursday, December of 14th. It’s just going to be a very quaint nice luncheon with some holiday live music and then a couple of different demonstrations. It’s really going to set the tone for the layout of different programs to do in the future. I hope to do more programs like that. We can do something again in the spring before we open. Of course, more when we are fully open. Again, just bringing on more opportunities and more programming in those somewhat off-seasons and off-days just to show that we still have lots to offer here even when there aren’t pure address interpreters in the building, so I’m excited about that. That’s great. I think that’s really interesting because I think there are a lot of museums throughout New York State and probably all over the country who have more limited offerings in the off-season but there are still visitors coming to the area. I also know from the tourism professional’s standpoint, especially the ones that work for the CVBs or the DMOs, it becomes challenging for them when they’re trying to bring groups through or perhaps media through and then off-season, so I think that’s a really great idea to develop a program that way where you’re putting something together that can help you in the off-season. I’ll be really interested to hear how that goes. I bet you’ll be pretty successful with that one. Sara: Yeah, I hope so. What about you Becky, are you working on something exciting that’s coming up in the future? Becky: We are. I’m focused on the museum experience as a whole and the kind of opportunities that we’re offering to visitors who come throughout the year, so primarily during our regular season but we have re-interpreted several buildings lately including our tailor shop which actually has never been staffed with an interpreter to focus on some stem related activities like learning how to do things in the tailor shop. For example, how you take a 2D object on a piece of fabric and how you turn that into a 3D sleeve for a jacket, and what that means. For school groups, it’s all about math and conversion of fractions and things like that, so it gives them a little more tangible experience around that, but even for adults understanding how clothes are made or, in other buildings, how a cook turns things that they got on the farm into a meal. We’ve been trying to do a lot more of these hands-on experiences and letting people really dive in a little bit more to the interpretation that we’re offering. We have … Next year, for our next season in 2018, plans to move our print shop to a different location that will allow people to have a much more … Get up much closer to the printing press that we have and have a better experience there. Then, for a new exhibit, opening a telegraph office and allowing people to actually send telegraphs between two rooms in this building as we joke it’s 19th Century texting, so trying to continue to connect what we’re teaching about here to experiences that our visitors have in everyday life because it’s all from the 19th Century to the 21st Century it’s all connected and there a lot of things that you can learn from what happens back in the 19th Century. That’s really awesome. I love the telegraph office. “It’s what we now call texting.” That’s really cool. You know what’s really neat about your museum is that you have that interactivity already built-in. I know a lot of museums are trying to update exhibits and improve on their programming so there’s more of this experiential flow to them, but you already have it built-in into your museum from day one pretty much, right? Becky: We do, yep. It was definitely part of the mission when my grandfather started that’s saying give people that experience of what life was like in the 19th Century because even 50 years ago he could see that that appreciation was disappearing, but it … I mean, I now have more opportunities to make more hands-on experiences and give people of all ages a chance to do different things while they’re here and learn about different things. Well, this has been a great conversation so far. I want to switch gears and talk about collaboration. We’ve already touched on it in several of your answers already in terms of collaborating with your tourism offices and Sara’s involvement on the committees and things like that. What I really like to talk about is this whole concept of what I like to call co-opetition where perceived competitors actually come together to create something that is bigger than they can do on their own. They actually come together and collaborate. Let’s start with you, Becky, if you can describe a collaboration that has worked for you in Genesee Country Village and Museum. Becky: I think the main one is going back to the first question that you asked about how we stood out from the crowd and I said we did that by joining the crowd. That, really, for us the interactions that we have with our partners here in Rochester, other cultural organizations, hotels, Visit Rochester and then expanding out to the whole state in either of New York, just the contacts that we’ve made with people and the information that has been exchanged has been invaluable, and Sara and I have tried to navigate this world that was a little foreign to us at the beginning of this year as we’ve gotten all kinds of good information from our peers and guidance. It’s really been helpful because there as Sara said, there are all kinds of organizations you can join and trade shows you can go to, and so getting some advice from those people who have been doing it for a while has been really helpful to us. Yes, you could say we’re competition but if we all work together we’re definitely going to be stronger. Yeah. How about you Sara, is there a collaboration in particular that comes to mind that’s really worked for you? Sara: Yeah. Really, what comes to mind, especially with what we’ve been doing in outreach terms is the sales missions. Going into these appointments and representing the whole area and not just pitching them on the museum but look at the greater Rochester area, look at Livingstone County, Genesee County and everything that we have to offer. I think that it’s been a huge advantage and I, too, don’t see even these other organizations as competition. I think that we’re a stronger product together and we’re a stronger sale together, and we’re building so much more engagement, enthusiasm and attention around the area by going into these appointments with multiple people representing different attractions, different hotels and so forth, so I think that that’s really been a huge advantage. To Becky’s point, too, there are great resources. There’s a couple of us that are just into this industry the past couple of years and then quite a few people within these organizations that have just a wealth of knowledge and really getting their guidance has been critical, growing, learning, and finding our place in the industry. That’s terrific. For our listeners’ sake, when you talk about the sales missions, can you elaborate a little bit about how those work or who you’re taking the appointments with just so our listeners know who you mean? Sara: Yeah, absolutely. We work closely with Visit Rochester, one of the subcommittees that I’m on is a travel and trade tourism committee, and there is a couple of different hotels and a good handful of attractions within the area that are on this committee. We help to coordinate different appointments within different areas mainly domestic: Pennsylvania, Ohio, New Jersey, New England. We actually schedule about 16 to 20 appointments with different tour operators and inbound receptive tour operators. Over the course of three to four days, we go and chat with these tour operators and educate them on the area, the products in the area, help create itineraries with them, and just really get the area and everything that we have to offer on their radar. The one-on-one time you have by being on those sales missions to really dive into your product specifically really gives me an opportunity to talk to them one-on-one about Genesee Country Village Museum and how we stand to our point a little bit earlier in our conversation and what we have to offer here, so it’s a really great opportunity. At the same time, I get to sit there and listen. Karen Dobson from Strong National Museum of Play talk about all the amazing things that they have to offer. Over time, we become such a strong team because we could give each other’s pitch because we’ve done it so many times together. It’s really an amazing foundation that we’ve built and a really good way to get ourselves out there. I’ve actually been on sales missions before so I’m thankful that you described that because you are so right, you end up learning so much about your counterparts that you can give each other’s pitches. I think that it’s all about relationship building, not just the relationship that you’re building with that tour operator, that receptive operator that you’re meeting with but also the relationship that you’re building between the other destinations that are in these meetings with you and how new opportunities, I think, probably come forward as a result of just that bonding time. Yeah, that’s awesome. Becky, can you talk a little bit about where you’ve looked for good partnerships and how you evaluate those partnerships? Becky: Sure. I think the first place that we looked was through Visit Rochester because they are a local organization and they have a very strong membership-based group that meets on a monthly basis, and so just being part of that and going to those meetings was the first step for us in building these partnerships, so I’d strongly encourage people to reach out to their DMO or TPA, whatever they have. In Genesee and Livingstone Counties, they go through the chamber of commerce, but there are different ways that it happens throughout the country. That’s really the best resource to start with. There may be other ones that could branch off from there but that’s why they’re there is to help local organizations to get into the tourism market and figure out how to reach that audience, so take advantage of it. Yeah, that’s really great advice. How about you Sara, do you have anything to add to that? Sara: I think that’s a really good point. It’s definitely where a lot of the relationships stem from and where we branched off into finding different opportunities with these organizations. I think that with the attractions, with hotels just being able to find partnerships in different ways to collaborate and maybe package and co-sale have been really beneficial for us. I’m going to change the tone again just slightly because I, again, like to learn from things that maybe didn’t go very well or challenges. I’m wondering, Becky, if you can tell us about a partnership or something that maybe didn’t go well and what you learned from it? Becky: Well, I can’t think of one that we actually entered into but, I can give you an example of one that we didn’t actually get into because it seemed fraught with potential pitfalls. With another local museum (and actually potentially two or three others) we talked about applying for one of the New York State Economic Development Grants. We talked about a position but somehow to market together to form a subgroup related to history primarily that could help to market our particular organizations better. As we talked about it, it became clearer that it was a great idea but that we all had an awful lot on our plates right now, and trying to figure out who is going to do what, what the expectations were, and how we were actually going to execute this was just … It was too hard, and so … Well, it seems like a great idea. When it came down it saying, “What is the outcome of this going to be? Are we really going to be able to do this in a way that works for all of us?” We couldn’t make that happens and so we said, “Okay, we’re not going to apply for this grant; we’re not going to make this happen” even though it had potential but sometimes it’s okay to walk away from something if it’s just is not the right time or the right situation. Yeah. I think that’s really great advice, too, because I think so often folks may have a really great idea, and it sounds like you really vetted or tried to vet this idea out. It had some really good foresight in understanding that you just weren’t ready and to identify those pitfalls you mentioned: who was going to do what, what were the expectations, how are we going to execute it and what are the outcomes, and really thinking through all those things are so important before you enter into any kind of a partnership or certainly go in and go after a grant, so I think that that’s just really great advice and a wonderful example. Thank you for sharing that one. We are getting towards the end of our conversation. Before I ask you one last question; I wanted to thank both of you for spending your time talking with us today. We have learned just so much from both of you, and it’s been fun interviewing two people at the same time and both of you bring such different insights in terms of perspective, and so I’m really thankful that you are here today. Is there anything that you would like to share that I haven’t asked yet or that you wanted to share with our listeners before we wrap up? Becky: I know I’ve said this a few times in a few different ways, but get out there and get involved with whatever organizations are in your area promoting tourism because that’s the way to spread the word about who you are but also as we said to learn from other people, what has gone well for them and what hasn’t and then figure out how you can make that work for you, but just sitting back and hoping that tourists are going to come to visit you is not really a good marketing strategy, you have to get out there. That’s really great advice. How about you Sara, any final thoughts? Sara: Yeah, I would say the same. Really just share resources and you’ll be surprised at how many resources you have as soon as you just became part of a conversation. When sharing those challenges and asking questions, if you’re having a challenge express that because there’s a good chance somebody else very close to you or maybe in a totally different region is having the same set of challenges, so just getting out there using those resources and being part of the conversation is really important. That’s great advice, and just to summarize points from both of you: get out there and get involved; learn, which I think has been a good theme through this whole conversation, just continually learning; sharing resources and asking questions, I think is just a great way to wrap up this conversation. Before we say goodbye, can you tell us where we can find you or what is the website for Genesee Country Village and Museum? All right. Terrific. Well, thank you very much for joining us today and we’ll look forward to talking with you again. Becky: All right. Thank you for having us.